Curtis Stokes & Associates is seeking Experienced Professional Yacht Brokers for our expanding yacht brokerage business. CSA also will consider new yacht sales people with boating and sales experience and we will supply training. CSA operates throughout the United States and worldwide, so we have sales positions open in a number of locations. Applicants must have power and/or sail boating experience, exceptional ethical behavior, good communication skills and be self-motivated. Curtis Stokes & Associates uses a very comprehensive and aggressive worldwide marketing and advertising program to help make our brokers successful. 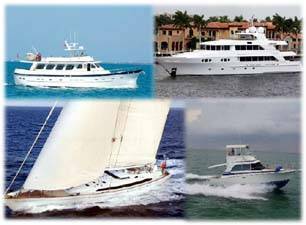 If you are ready to become a professional yacht broker, contact Curtis Stokes directly at 954 684-0218 for complete details. CSA recommends the Yacht Broker Institute to any new yacht salespeople. YachtBrokerInstitute.com gives our candidates a 10% discount for completing the course. CSA will reimburse the graduate half of the tuition on their first sale.